I recently came across a lovely little Etsy shop owned by a fellow blogger and fell in love with her unique style. The owner of Closet Geek, Bel, hand makes all of her geeky apparel and even takes on custom orders. I think the products are really reasonably priced and decided to purchase some for mine and Joe's Sisters this Christmas. I loved the necklaces so much that I had to get one myself! Being a big Tangled fan I decided to go for a Baby Rapunzel on mine. She is such a darling and it feels great to have a design that nobody else has. My Sister is a big Harry Potter fan so the HP wand necklace was an easy choice. 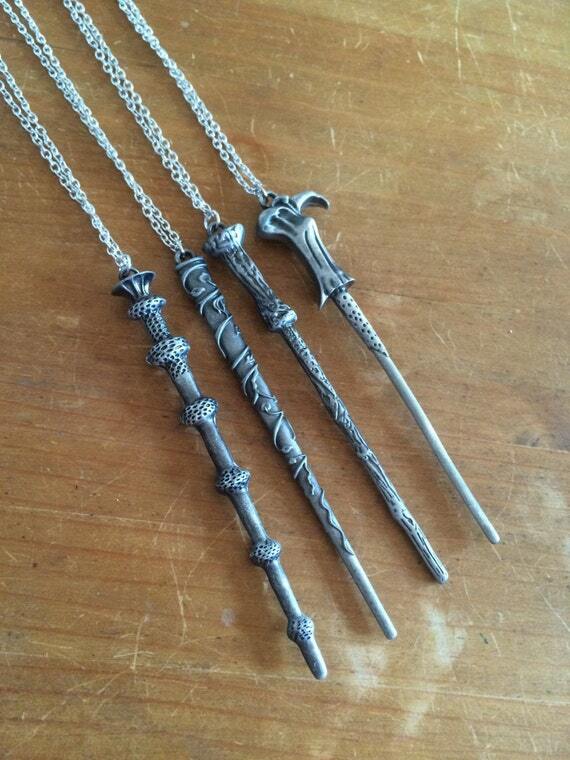 The wand itself is really nicely weighted and there are 4 character wands to choose from. My only comment with this one is that the chain could have been a bit longer for the style but that is just personal preference and the chain can easily be replaced. Next up were Joe's Sisters. 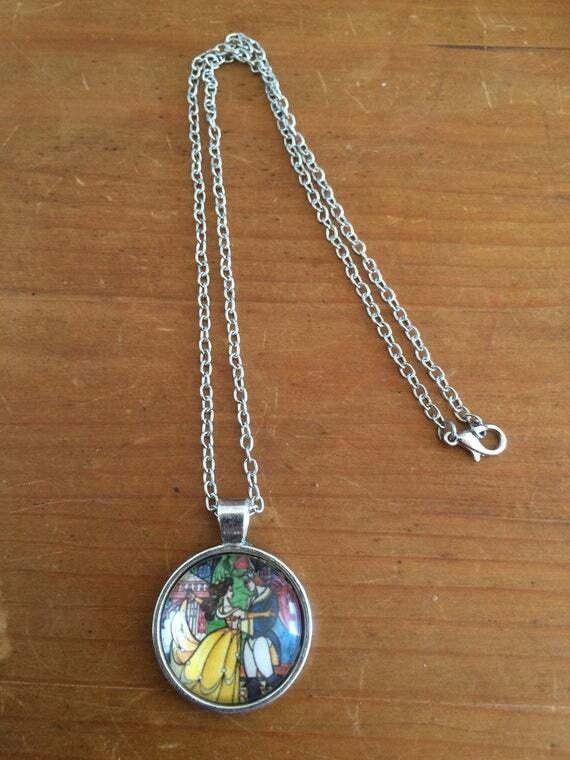 Megan is a huge Beauty and the Beast fan so I got her the pendant with the gorgeous stained glass window from the movie. Ella has always loved Aladdin so I asked Bel to make up a custom pendant with Aladdin and Jasmine looking into each others eyes. The girls loved the necklaces as much as I love mine and the attention to detail even in the little draw string bag they arrived in was brilliant. I recommend having a browse at the Closet Geek Etsy shop for more designs and her handmade fancy dress costumes and bows are adorable! *I was given a discount on my necklaces in exchange for this review but all opinion.